Our group focus on the Design and Synthesis, Device Fabrication and Characterisation of Organic Semiconductors that can be applied in Organic Solar Cells, Organic Transistors and Detectors. Our Interdisciplinary Research covers several disciplines including Chemistry, Material Science and Engineering, Physics, and Spectroscopy. This achievement is noted as a major technological breakthrough in the renowned NREL chart of “Best Research-Cell Efficiencies”. 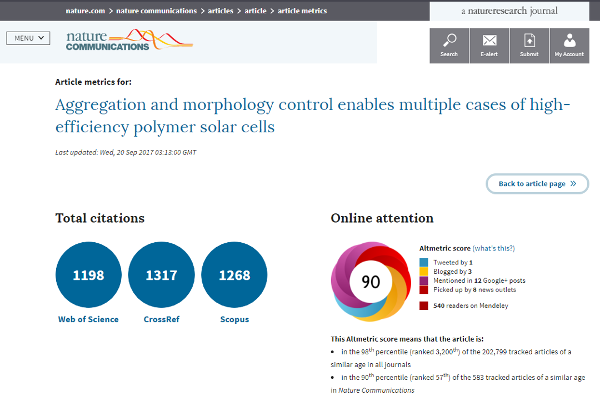 “Aggregation and morphology control enables multiple cases of high-efficiency polymer solar cells “. Nature Communications, (2014), 5, 5293. 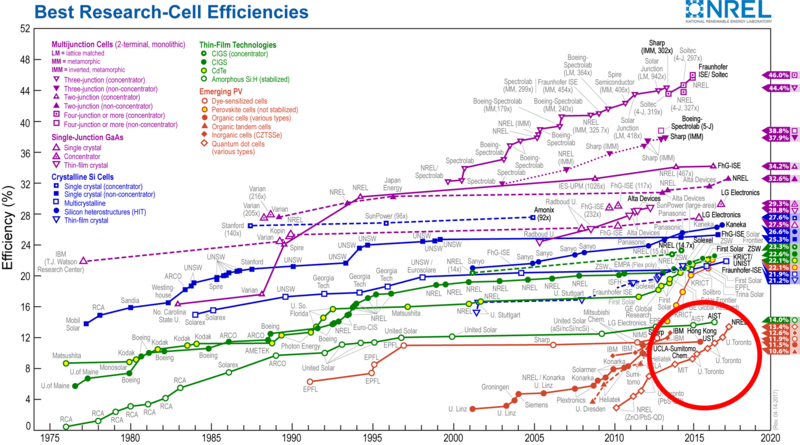 We also discover a system of non-fullerene organic solar cell with a fast charge separation only requires a small driving force, that can achieve an open-circult voltage of 1.11V and a power conversion efficiency of 9.5%.